The good news is that the cost and effort to officially renew a trademark is likely less than the cost of renewing your corporate structure under state law. For a trademark registration to remain valid, the trademark holder or attorney must file an Affidavit of Use between the fifth and sixth years after registration. This is a simple process that requires the trademark holder to make a sworn statement that the mark is in use in commerce. There is a $100 filing fee to submit the Affidavit of Use. In other words, there is no cost to renew your trademark registration until 5 years after (but before 6 years) registration. At that time it will cost you $100. Owners of a registered trademark are required to renew their registrations every 10 years. This must be filed between the ninth and tenth year after registration. To do so, you must file the Section 9 Renewal form and pay the $400 filing fee. Owners are also required to file another Section 8 Affidavit of use between the ninth and tenth year after registration and again, pay the $100 filing fee. Owners are able to file a combined application to account for Section 8 and Section 9 requirements. If a trademark owner fails to timely file a Section 8 or Section 9 filing, the trademark will be canceled and the owner could permanently lose all trademark rights. Needless to say, complying with the deadlines above is of extreme importance. While this filing is not required to preserve trademark rights, filing this declaration will unquestionably strengthen your mark. Here is how it works. If a trademark owner files a Declaration of Incontestability between the fifth and sixth years after registration, and pays the $200 filing fee, the mark is immune from challenge except under very narrow circumstances. Federal law states that if a Declaration of Incontestability is filed, a mark may only be challenged on the grounds that the mark 1) has become the generic name for the goods or services, or a portion thereof; 2) is functional; 3) has been abandoned, or; 4) the registration was fraudulently obtained. 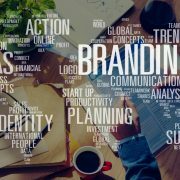 Owners of a registered trademark must take active steps to protect their mark. 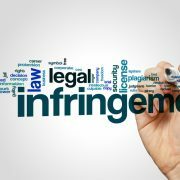 This means monitoring the unauthorized use of your trademark and demanding that infringers cease and desist their use. Revision Legal offers 12-months of trademark monitoring for a flat rate of $400. 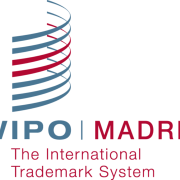 In this package, we continually search for the use of your mark online and in the USPTO’s database and provide a report to the trademark owner every quarter. It is the best method to keep an eye on your trademark. Often times trademark holders are called on to issue cease and desist letters to companies or individuals infringing upon their trademark rights. Revision Legal offers trademark enforcement services, including offers cease and desist letters, on a flat fee basis depending on the circumstances. The costs of maintaining and renewing a trademark with the federal government for the first 10 years are a total of $600 ($100 for Section 8 between the fifth and sixth year after registration, $400 for Section 9 and another $100 for Section 8 between the ninth and tenth year after registration). Trademarks owners would be smart to pay an additional $200 to obtain give their marks incontestable status. Apart from the filing fees, trademark owners should actively protect their trademarks through monitoring and protecting their trademarks. Given the benefits that come with trademark registration, the above costs, even to a small business, are well worth the investment. What Is a Section 2(f) Trademark Registration?